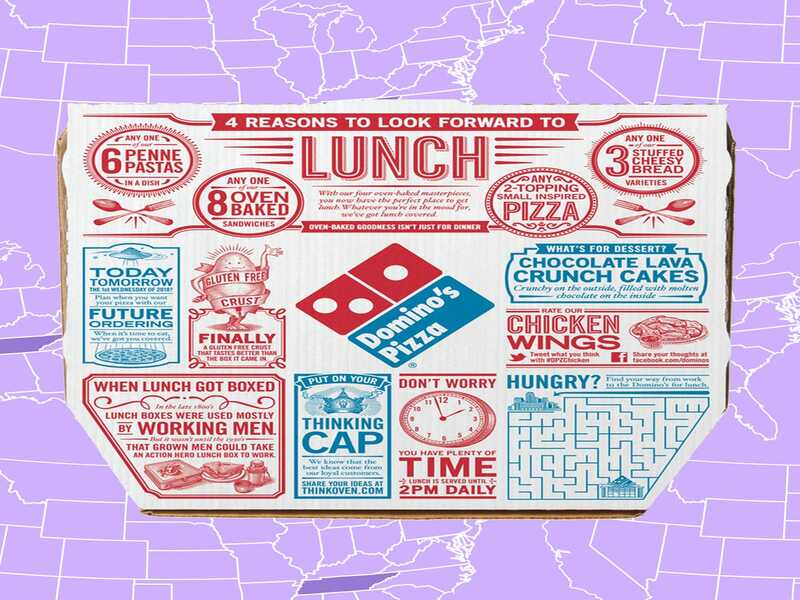 Today, as part of Your Spending In Your State: a copywriter working in e-commerce who makes $16.75 per hour and spends some of her money this week on late-night Domino’s pizza. 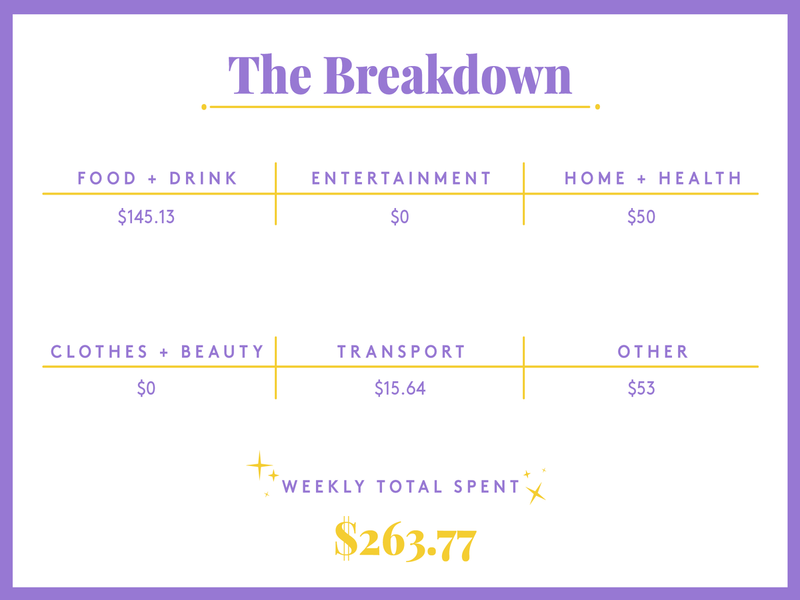 Editor’s note: After confirming with the diarist, we’ve updated the headline and earnings of this diary to more accurately reflect her income. 10 a.m. — I never sleep in this late. However, I stayed out late and had an *ahem* adult sleepover last night with a new friend, and the extra sleep is necessary. I drag myself out of bed and reluctantly get this lazy Sunday started. 1 p.m. — H. and I post up in his apartment for the day and treat ourselves to a Sunday movie marathon. We also treat ourselves to pizza from Roma. H. takes pity on my hungover soul and pays. Bless him. 6 a.m. — After months of training myself, I drag myself out of bed at the first sounds of my phone’s alarm. As much as I love lazy mornings on the weekends, I love my weekly routine. The company I work for doesn’t have strict hours, so I do my best to get there no later than 7 a.m. Being able to leave before 4 and have full afternoons during the week trumps having to wake up at the crack of dawn for five days in a row. I jump in the shower, brew a strong pot of coffee, and am on my merry way. 7:10 a.m. — Okay, so I don’t make it by 7. Since Monday morning breakfast is provided by my company, in place of prepping my own meal, I pushed my shower a little longer than usual…and I guess I overdid it. I settle in at work and catch up on emails over a breakfast biscuit sandwich, fruit, and coffee. 12 p.m. — My group chat lights up and my work gals all agree they’re hungry enough for a lunch break. Even though I could have waited an extra 3o minutes or so, I tag along. Another perk of working for the company I do is the fully stocked kitchen. I typically bring in lunch at least three or four days per week, but since my fridge is looking empty, today I’m relying on the snacks at work. I decide on a small bowl of salted popcorn and a PowerBar. 4 p.m. — Unlike most Mondays, this one flies by. Before I know it, I’m back home. Since I barely ate all day (and nothing remotely nutritious, I might add), I decide to go for it with an early afternoon dinner. I went grocery shopping before this past weekend and still have a Nourish Bowl and a couple of avocados left in my arsenal. I whip up a quick dinner and hop on the couch, turn on Forensic Files, and opt for an evening saturated with true crime instead of going to the gym. I’ll go tomorrow. 7:45 p.m. — After perhaps a little too much true crime, I decide to call it quits on TV. I run the dishwasher, climb into bed, and open up my book, Will You Won’t You Want Me. As if by fate, *cute boy* from the weekend texts me and asks if I have plans on Saturday. I tell him I don’t, and he lets me know there’s a great place he wants to take me to. I swoon, then let him know I can’t wait. Then H. calls and we chat about his dating situation. 8:15 p.m. — After H. and I hang up, I look at the book lying open on my bed. Instead of reaching for it and reading, I close it and decide I’ve earned myself an early night. 6:05 a.m. — I’ll admit that after a seriously restless night, it was a little rough getting up on the first alarm. I typically only set two (one right at 6 a.m. and one five minutes later at 6:05), so that there’s no time for me to fall back asleep and I am forced to get up. I prep for the day ahead, this morning adding a quick banana, blueberry, peanut butter, and coconut milk smoothie into the routine. I am somehow out the door and in the car by 6:40. 10 a.m. — Snack time! Decide on mixed nuts and pita chips from the company kitchen. 11:30 a.m. — The chat goes off and the girls are ready for lunch a little earlier than usual. Once again, I find that I’m not hungry but I can’t pass up a chatty break with my coworkers. One of our friends returns from errands and walks into the kitchen with a to-go box of french fries, which she eagerly plops down on the table in front of us. Suddenly, I am ravenous. 3:30 p.m. — Ah, that sweet, sweet feeling when the time has come to go home. Today, it’s extra sweet, the reason being my manager so kindly brought a box of sugar cookies to celebrate a few team members’ one-year anniversaries today, so I make sure to snag one on the way out of the office. This should hold me over until I’m back home from a quick cardio session at the gym. 5:15 p.m. — Back from the gym and I immediately charge for the fridge, take out my leftovers from last night, and throw them into the microwave. While I wait for dinner to warm up, I whip up a slice of avocado toast with my last remaining piece of bread. Then I scarf down dinner and hop in the shower. 7 p.m. — Before moving to Nashville, I would have spent the evening holed up in my room reading or watching Netflix. Now that I live alone, I make a point of saying yes as much as possible to being social, even if it’s just running up to H.’s place and chilling on his balcony. I do exactly this, as he’s had a great day and wants to dish out all the delightful details from his previous night with his new dude. We dig into his keto ice cream and chat late into the night. 10 p.m. — Exhaustion hit me like a ton of bricks, so I waste no time getting straight into bed. Once there, I notice the pile of dishes soaking in the sink across my cozy studio. I reluctantly get out of the warmth of my bed and clean everything before I sleep. Somehow, I find a way to break my coffee thermos in the process, which is going to make my morning coffee routine very interesting tomorrow. A little irritated but too tired to care, I retreat to bed and turn off the lights. 6:05 a.m. — Like yesterday, today is a bit of a struggle to get out of bed. I manage, though, and make my way (a.k.a. crawl) to the bathroom to get ready for the day. As I’m brewing my coffee, I remember that my thermos is broken and I have to figure out an alternative to getting my morning cup of jo from home to work without spilling it all over me and anyone sitting near me on the shuttle. I find an oversized mason jar in one of my kitchen cabinets, so I opt for a big ole cup of iced coffee this morning. I accidentally overestimate the size of that mason jar and brew a bit too much. Instead of letting it go to waste, I pour the excess into my daily smoothie for a little extra something something. 7:30 a.m. — Proud moment. The girls are going for a coffee run, and I have the willpower to say no. I guess I can attribute that to the large jar full of iced coffee conveniently placed right in front of me, which, btw, is actually a lot harder to lug around than I planned for. Thank goodness for Southern manners, as doors were held open for me as I scrambled around with two hands full this a.m.
10:30 a.m. — *Channeling the viral video of the little girl who loves snacks* SNAAAAAACKS!!!! Seriously, what would I do without the company kitchen. Decide on a mixed bowl of PB pretzels and pita chips. 12:15 p.m. — The group chat lights up. I came prepared today with an avocado and make up a very basic version of the avo toast I make at home. NGL, I am still kinda hungry after scarfing it down. But I have no time to think about it… H. is calling me. This is rare for him to call midday, so I have an inkling he calls bearing good news. 12:45 p.m. — I was right. He got the promotion he was going for! I celebrate in his honor with a few pieces of chocolate I have stashed at my desk before getting back to work. 4 p.m. — Home at last! I give my sofa a longing look before I force myself to change for a quick cardio session at the gym downstairs. As I open the fridge to fill up my water bottle, I notice that *yikes* I’ve really let the whole avoid-the-grocery-store-for-as-long-as-possible thing go well past what is acceptable. Looks like I’m having eggs and, you guessed it, an avocado for dinner tonight. 6 p.m. — I have a long gym session while listening to podcasts. I’m a seasoned Murderino ( MFM anyone?!) but I also love Unqualified with Anna Faris. Then I go home, shower, and whip up my remaining eggs with scallions, tomatoes, and sliced avo for my breakfast-for-dinner situation. I hop on the couch and turn on the Amy Winehouse documentary new to Netflix. 8 p.m. — If it’s wrong to get into bed at 8 p.m., I don’t want to be right. After tidying the apartment and taking out the trash, I climb in my cozy sheets and try not to linger on the fact that *cute boy* didn’t text me today. It’s fine, I’m fine. Right?! I read a few chapters of my book and calling it a night before 8:45. 5:40 a.m. — Ugh. This morning is a doozy. I wake up 20 minutes earlier than usual since I’m walking to work today. Tonight’s the first night of the Live on the Green concert series taking place downtown over the month of August, and, since I’m anticipating enjoying a few drinks (or more), I’d rather not have to worry about my car after work. 6:25 a.m. — I get through my morning routine surprisingly quickly, since I decide against brewing coffee or making my usual smoothie. The route I take when I walk is just over a mile, and I’d rather not have anything other than my bag and a light sweater in tow. I consider making a quick stop at Crema for an iced latte, but they don’t open until 7. I’m a little disappointed since their coffee is my favorite, but it’s also a lot warmer than I had anticipated, and I’d rather get to the A/C of my office instead of stopping for caffeine along the way. 6:45 a.m. — Holy sh*t. That was not fun. I am not lying when I say there’s a thin layer of sweat over my entire body. Gross. Maybe next time I’ll just go for the $7 Lyft ride. 10:45 p.m. — I may or may not have texted *cute boy* whilst drunk and stressed him out. He apologizes for not chatting for the last couple of days since he’s been busy, and asks if I still want to go out on Saturday. I apologize for stressing him out but am honest and say I’d rather not waste emotions on this if he’s uninterested. He insists that’s not the case and solidifies plans for Saturday. I climb into bed smiling and quickly pass out. 6:30 a.m. — Between a handful of beers, a couple G&T’s, and a late-night pizza, I do not feel good this morning. I drag myself out of bed and my sheets along with me, planning for an afternoon spent doing laundry and nursing what I’m guessing will be a day-long hangover. I pull on an oversized sweater and high-waisted jeans, make do with my bedhead, whip up a quick smoothie, and head out the door. 11 a.m. — Friday lunches are catered by the company, and the email is sent out letting us know that sandwiches are ready on the floor below. I waste no time getting down there. My stomach is not pleased with me today, and I have an inkling it might have to do with the fact that there’s nothing in there to absorb the mess of things I consumed last night. 3 p.m. — We get an office email about lunch leftovers in the kitchen. I race downstairs to snag extra sandwiches for dinner tonight. Definitely not feeling like braving the grocery store today. Happy to do whatever it takes to avoid that place for one more day. 4:15 p.m. — Hellooooo weekend! Home at last. I was right to assume I would feel like crap all day, so I’m definitely feeling an afternoon spent tidying up, watching Netflix, and calling it an early night. Though I consider myself an extrovert, sometimes these Fridays spent alone are the best. I throw a load of laundry into the washer, run the dishwasher, and Swiffer a little before plopping down on the sofa and taking a break. 9 p.m. — I feel no shame that this is where my Friday night ends. Goodnight, world. 7 a.m. — I wake up both anxious and excited for the day ahead. To curb some of those butterflies, I head down for an early sweat session at the gym. Hopefully it’s early enough that I have the place to myself. 10 a.m. — After showering and finishing putting away laundry, I craft up a quick egg scramble with tomatoes, avocados, and scallions and an iced coffee. I enjoy breakfast on the balcony and bring my book along to get alfresco reading in before it gets too hot. 11:30 a.m. — One of the girls I work with texts me and invites me to the Tomato Fest happening in East Nashville today. Other than my date tonight I have nothing going on, so I decide instead of letting my anticipation and anxiety over the night steadily increase all day, I’ll get myself readied up for a fun time with friends. 6:45 p.m. — I decide on a red floral jumper for dinner, and curl my hair and throw it up in a loose pony. I’m friggin’ nervous, so I decide to enjoy a quick beer as I wait for him to text me that he’s here. It’s my first date in a while with someone I’m actually interested in, so it’s hard to have no expectations! I run to my car to grab a piece of gum in lieu of brushing my teeth again, and get back into my place just as my phone lights up. Ah! He’s outside. Wish me luck!